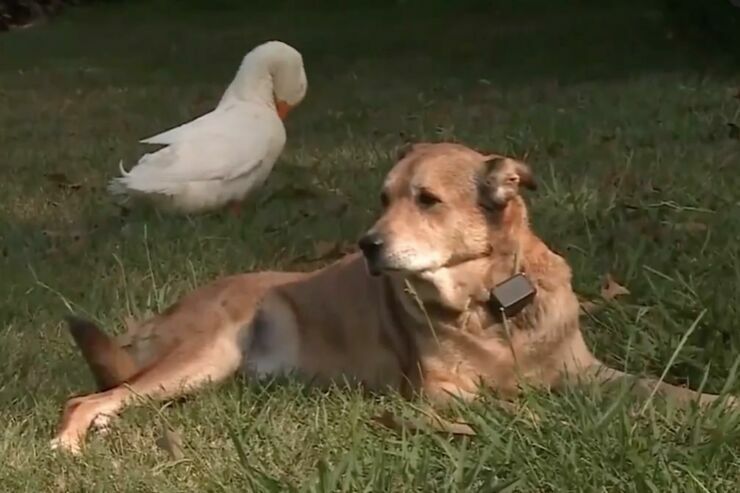 It might not sound like the most common of friendship pairings but a dog and a duck have become best buddies. 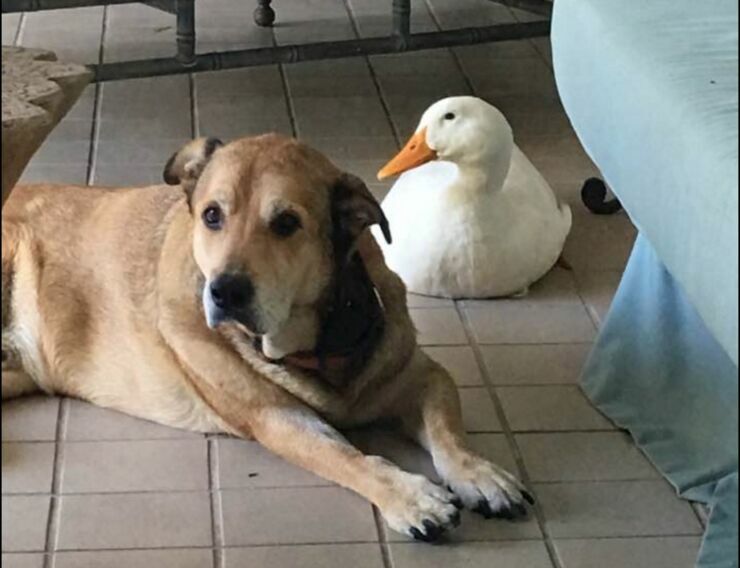 George, a dog from Tennessee, found his unusual BFF after he'd fallen into depression after losing his former best friend, a dog called Blackie. Owner Jacquie Litton says George was devastated after Blackie died two years ago, causing George to become sad and depressed. "He’s almost died twice. He doesn’t eat. He starves himself, and he has anxiety." said Litton. "He has a multitude of skin infections from chewing on himself." 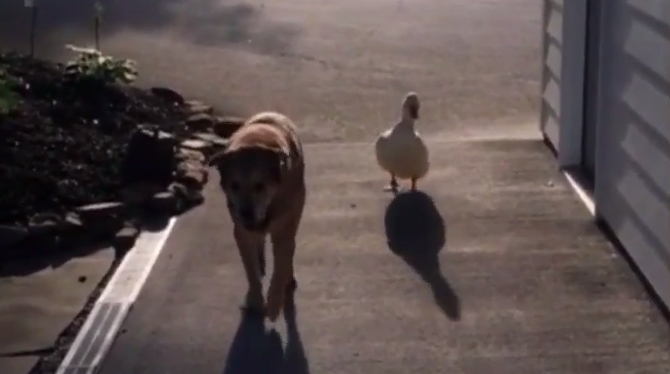 But his attitude changed and he perked up immensely when a duck showed up at their house. One Saturday Litton looked out her back window and there was George with a duck next to him on the back porch. Since that fateful day the two have been pretty much inseparable and George spirits have been lifted from his sullen mood. 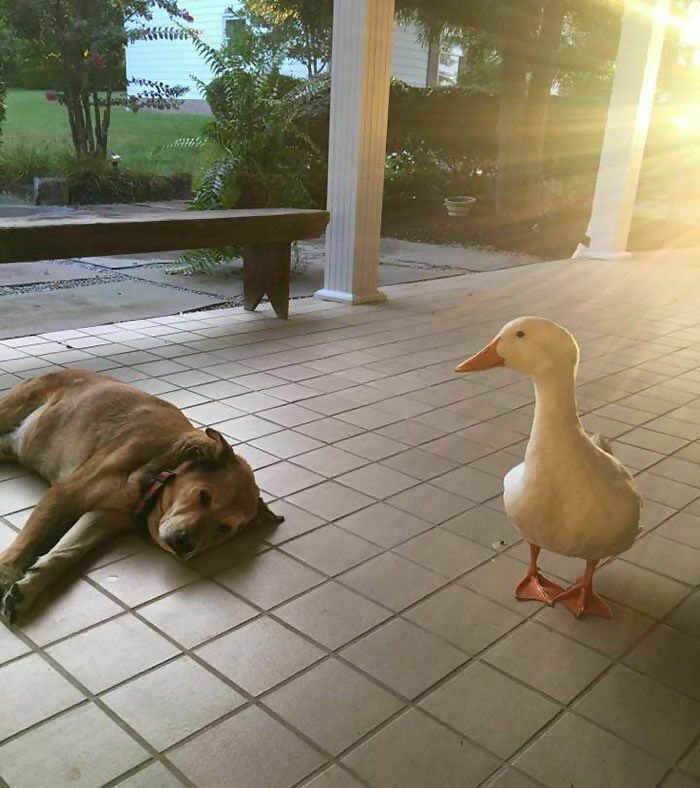 The duck sleeps in George's bed and the dog, who doesn't like anyone outside of the family, even lets the duck rest its bill on his leg. It's very adorable. And the duck is going nowhere, although it has meant Litton now has to deal with cleaning up after it. But it's all worth it to see George in a happier mood. The beginning of a beautiful interspecies friendship, for sure.